Tired of Loose Dentures? Try Mini Dental Implants! More Cost Effective – Mini Dental Implants cost are more than 50% less than standard dental implants. You’ll be saving at least $500. Less Invasive – There is drilling into existing bone, but not as much as with conventional dental implants. Quicker – A standard dental implant procedure takes a few months and multiple visits to complete. 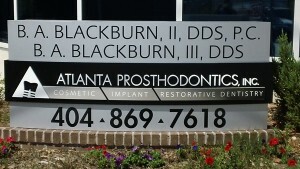 Dr. Blackburn III can complete a MDI procedure in less than two hours at our dentistry in Buckhead, and that includes your existing or new dentures being snapped on. Patients can eat with their new stabilized dentures that night. Require Less Bone – Many patients cannot get dental implants because they do not have enough bone to support them. This is not the case with mini dental implants because they are much smaller. Dental implant therapy has been one of the most significant advances in dentistry in the past 25 years. Hundreds of thousands of grateful denture patients have experienced the immediate improvement in their quality of life and confidence that long term denture stability brings. 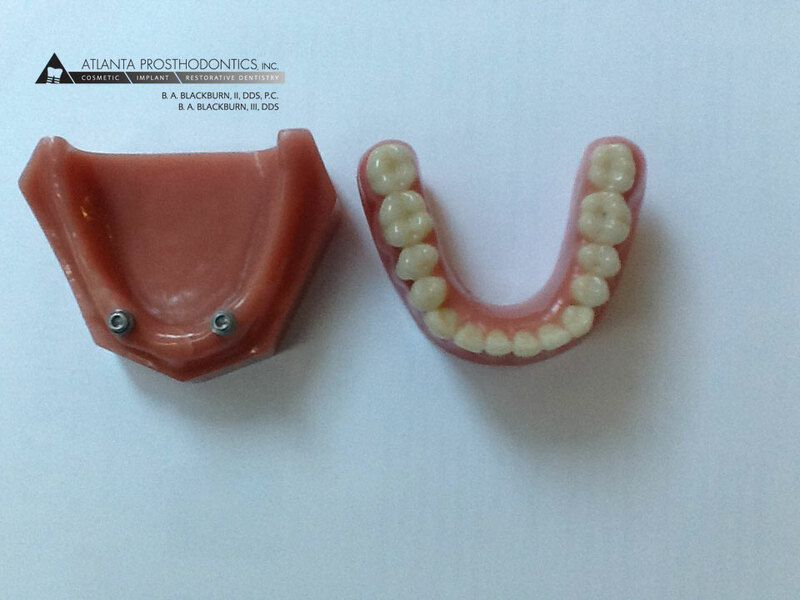 Several different types of implants and restorations are available. The choice depends upon the amount of bone available, the patient’s general health and restoration preference. Discuss the options that will work best for you with your doctor. IMTEC, a 3M Company, revolutionized dentistry with the introduction of minimally invasive implants for denture stabilization. These small diameter implants (around 2mm in diameter) enable your dentist to broaden the spectrum of patients that can be treated. 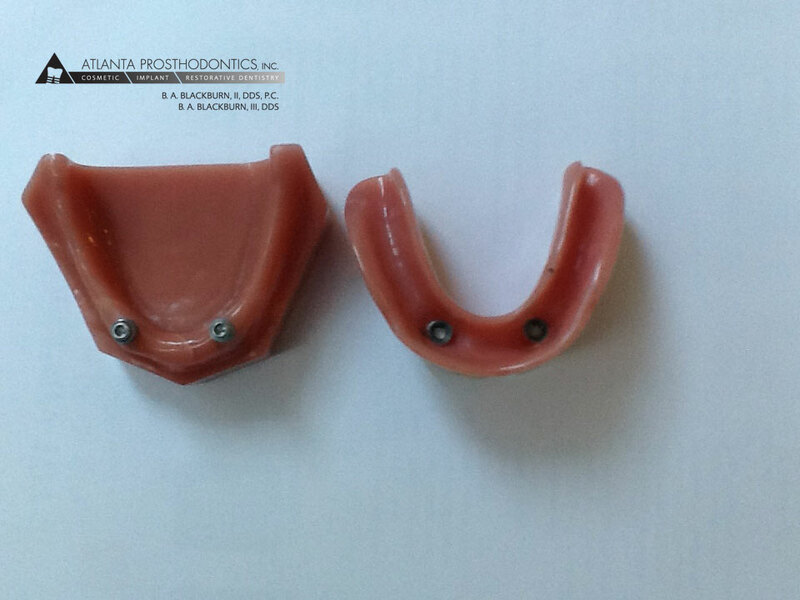 The MDI Denture Stabilization System was developed in order to provide greater denture stability for those patients who cannot withstand the rigors of conventional implant surgery, who do not have enough bone to allow for full-sized implants to be placed or those that are seeking an option with a lower cost than traditional implant treatment. Visit your dentist in the morning, have the mini implants placed in less than two hours, then go out and enjoy your favorite lunch. Eat comfortably, have a pleasant conversation, laugh and talk with confidence. Your denture feels secure and is being held firmly in place. All of this available at an extremely affordable price. We offer the same procedures as ClearChoice but for a lot LESS! Placement of the implants is accomplished quickly and easily in a process performed in the dentist’s office, with local anesthesia. Using a precise, controlled, minimally invasive surgical technique, MDI implants are placed into the jawbone. The heads of the implants protrude from the gum tissue and provide a strong, solid foundation for securing your dentures. Because of the minimally invasive nature of this procedure, MDI placement doesn’t require a lengthy healing period, meaning dentures can be stabilized the same day the mini implants are placed. Leave the denture in place for the first 48 hours after MDI placement. You should not experience nay excessive bleeding. There will be some mild discomfort, but this should be minimal and controlled by the pain medication you have been given. If needed, take the pain medication only as directed. The denture should feel secure. You may eat as soon as you wish to, but avoid excessively hard or sticky foods for a period recommended by your dentist. Upon removing the denture, rinse your mouth with an antiseptic mouthwash. IMTEC also recommend using an ACCESSTM Toothbrush. It has been specifically designed to clean your implants and gently stimulate the surrounding gum tissue. The ACCESSTM Toothbrush has been specifically designed for optimum cleaning of the implant fixtures. Ultrasonic cleaners are ideal for insuring that the retaining fixtures are kept clean and free from food impaction and debris. Use either mouthwash or a 50-50 peroxide solution in the ultrasonic cleaner. A “Water-Pic” may also be used to rinse out the denture fixtures. If the denture does not remain firmly in place, call your dentist and inform him/her of your problems. Your dentist will determine your approximate check-up. At that time, the condition of the implant, your gums, and the O-rings will be evaluated and properly maintained. Do not use effervescent cleansers, as these may deteriorate o-rings. Are mini dental implants the right choice for you? Come in today for a consultation. Our Atlanta dentists will give you an exam, review and discuss the x-rays taken of your teeth, diagnose your condition, and give you dental treatment options from the most economical to the best and everywhere in between. We will make the most of your insurance plan.